From Boarman’s. A favorite to bring home. 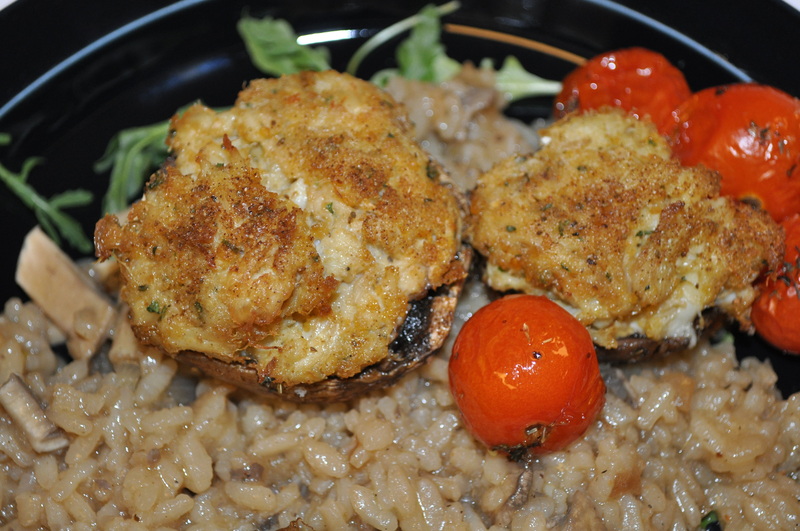 This time I decided to stuff their lovely PA mushrooms with the crab cakes. Their crab cakes are a bargain at $4 each. We bought a few mushrooms too. And, a container of cherry tomatoes (which was a mistake as they have no taste). 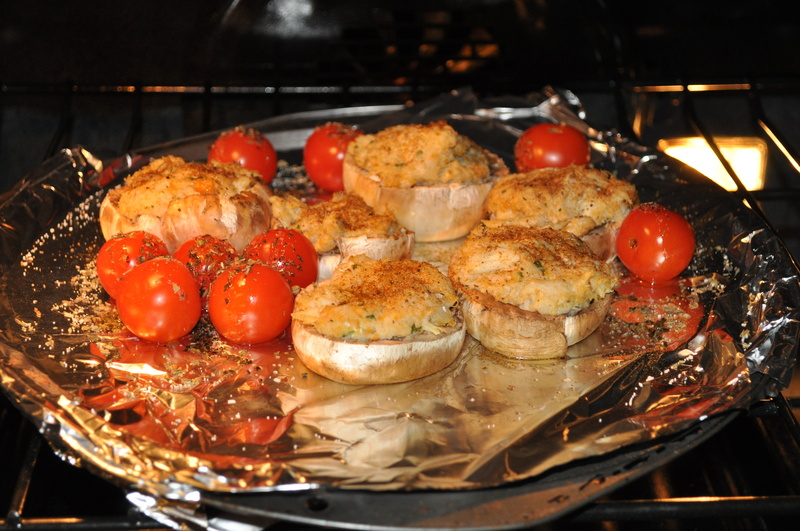 At least by putting them in the oven covered in Italian herbs, they were edible. Simple dinner, except for making risotto. 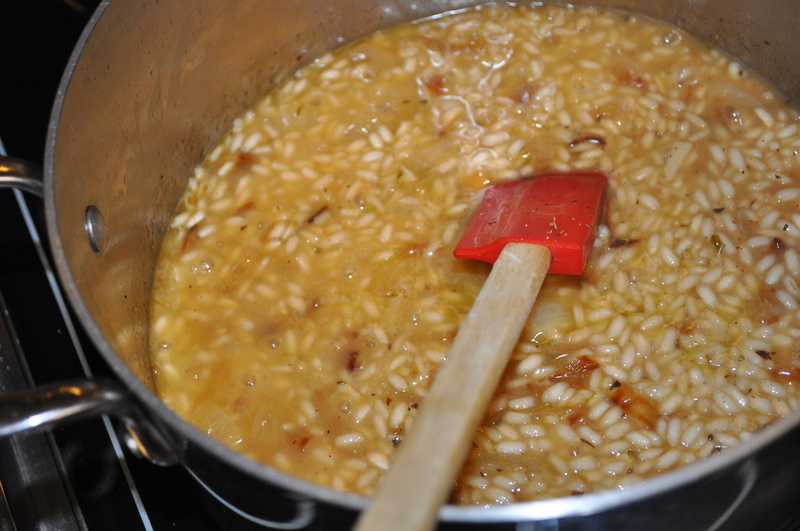 I love risotto. It is my comfort food. I made a simple risotto using some of the filling and the tops (sliced off to make them level in the oven) of the mushrooms. Onions, garlic, arborio, chicken stock and white wine. Cooking risotto requires attention. Keeping the stock at the right level. Adding the proper amount of salt and pepper. I find it relaxing to make it. I added the mushrooms right at the end. Served over a bed of arugula. 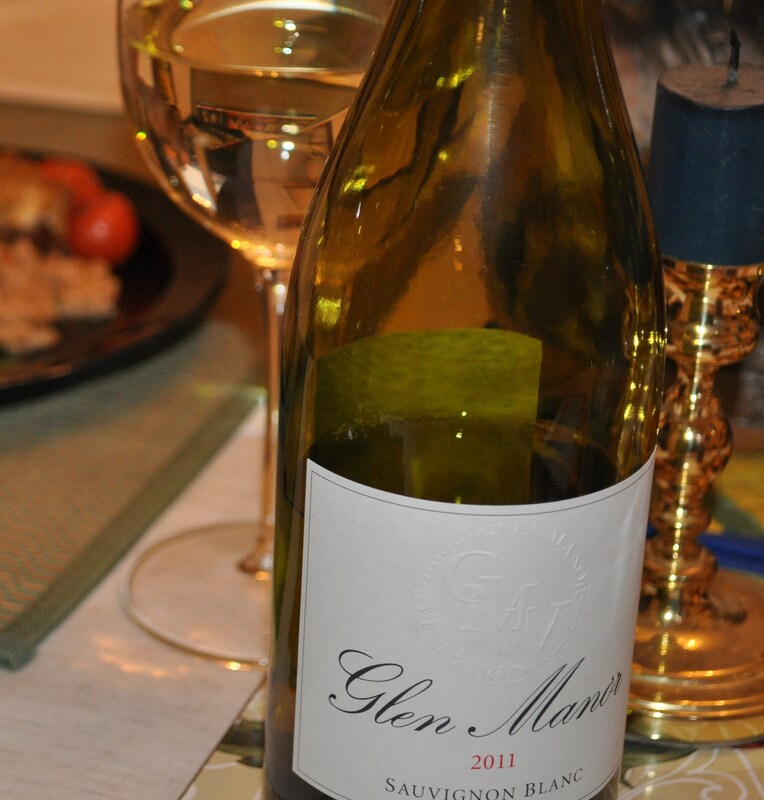 And, accompanied by a lovely crisp 2011 Glen Manor Sauvignon Blanc. Dinner worth way more than it cost me to make it. 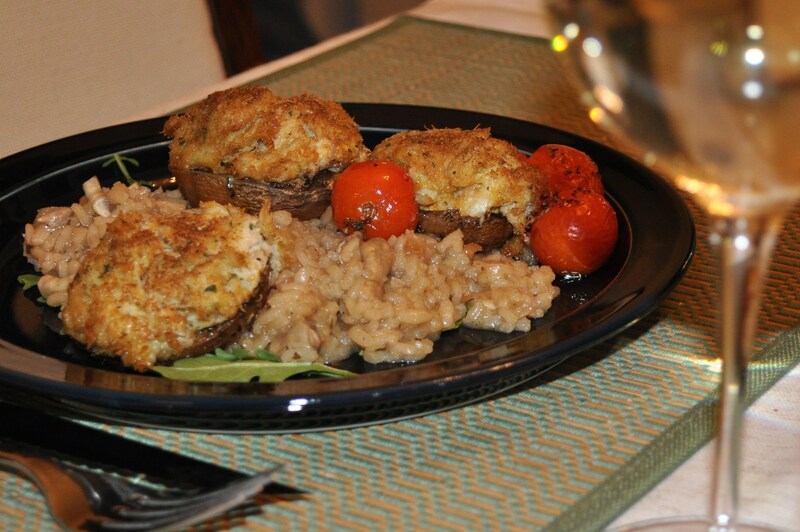 Oh yeah, it took time to make that risotto. Less time than I would spend with a beeper at a local restaurant waiting for a table. Posted in Food, Howard County, Local Businesses, Locavore, Real Food, Wine and tagged Food, foodie, Howard County, local businesses, Locavore, real food. Bookmark the permalink.